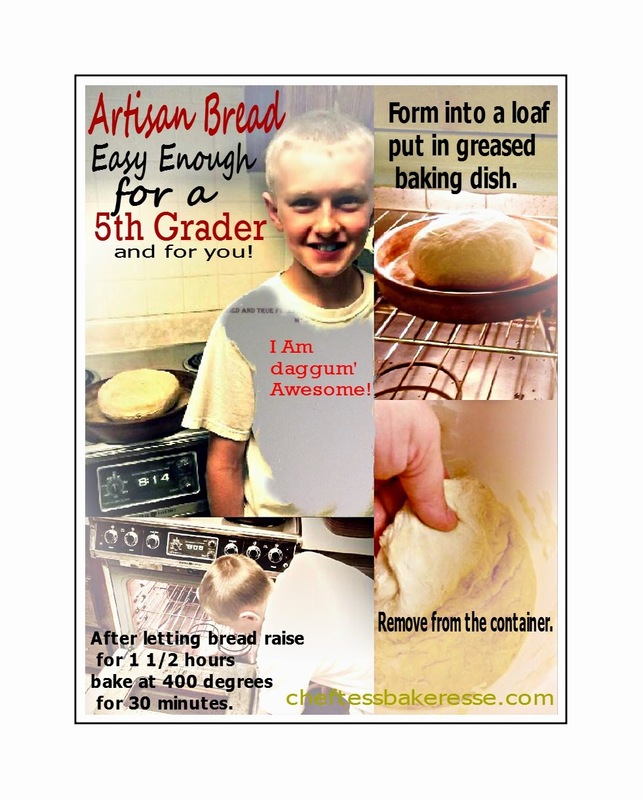 Chef Tess Bakeresse: Artisan Bread Easy Enough for a 5th Grader! 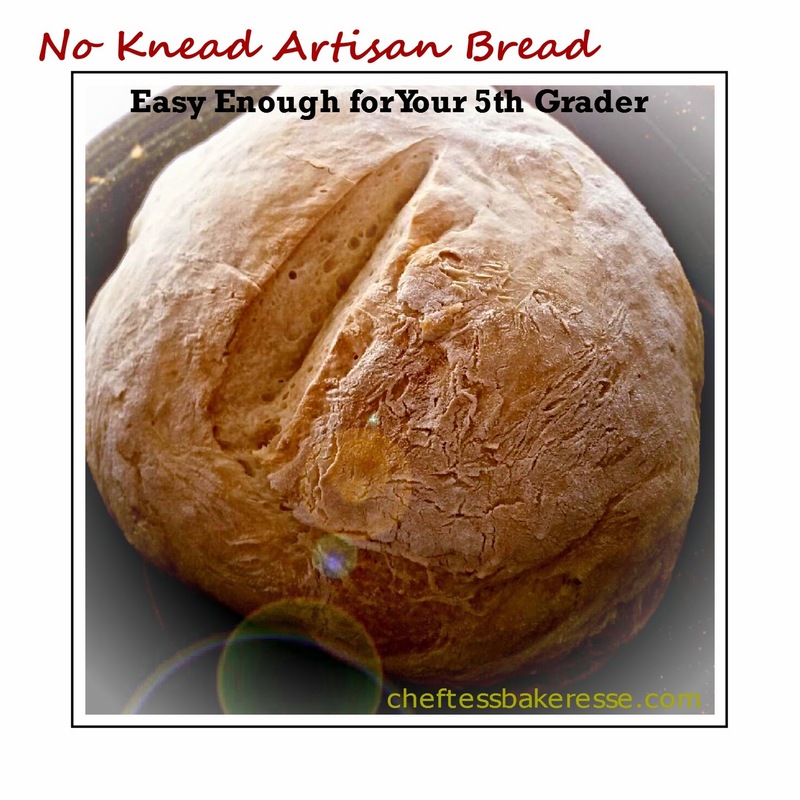 Artisan Bread Easy Enough for a 5th Grader! I'm pretty sure most parents agree that their 5th grader is probably smarter than they are most of the time. I had the amazing opportunity to visit my son's 5th grade class today and share with them the simple basics of yeast and bread baking used by the pilgrims and bakers throughout history. Yup. I also get to teach at schools occasionally and I think those experiences are the sweetest ever! I'm also pretty sure everyone in my son's class will agree that their teacher is freakin' amazing!! 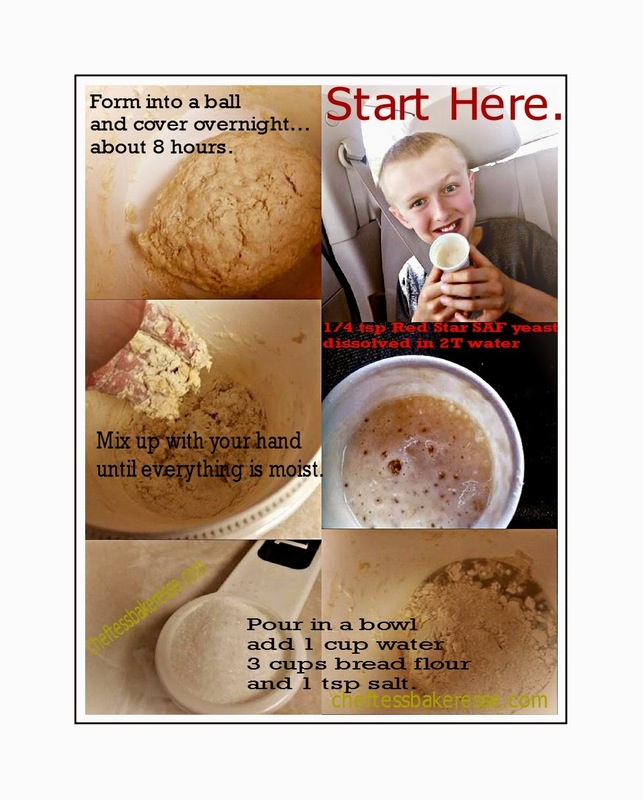 When class was over, I sent each kiddo home with a little cup of yeast that we had activated with water and flour. I've heard back from many of them letting me know that they baked some pretty cool bread! 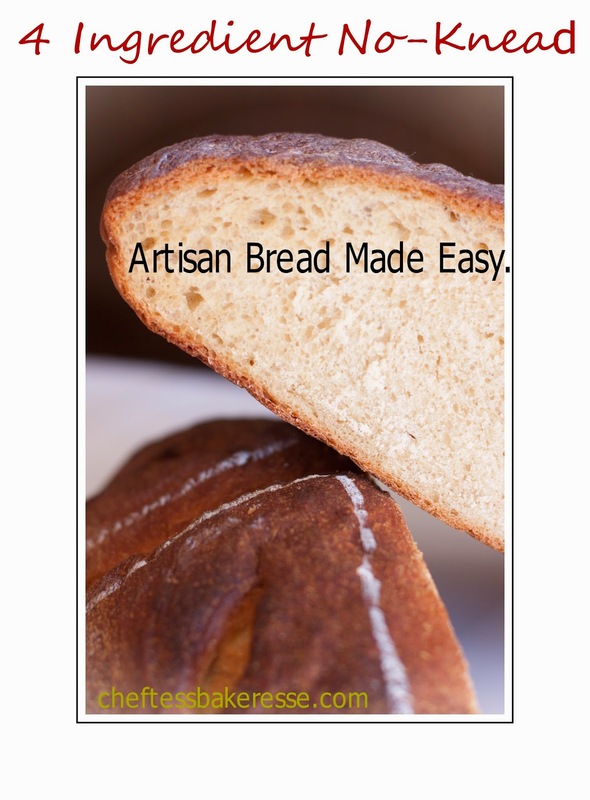 For more information visit the post on 4 Ingredient No Knead Bread Anyone Can Make! There you go! 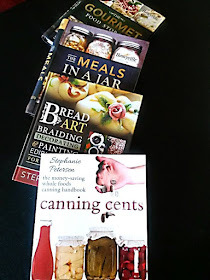 Enjoy Spring Bread and Easter. We'll be playing hard around here!